Long time ago, in Japan, there was a group of military people who were chosen by the Emperor to govern the military actions in the country. These men were called “shoguns.” Although, nowadays, Japan’s army is only for defense, the shoguns were not the same. 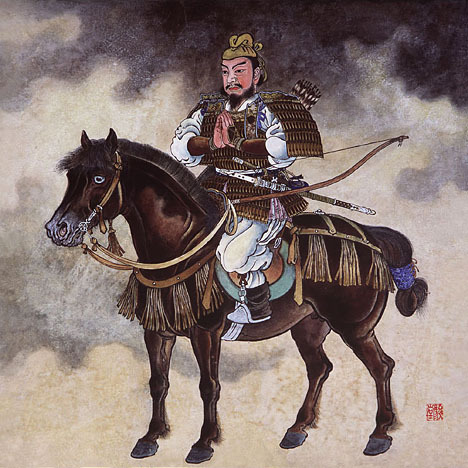 Shoguns were known as “generals” or “military commanders.” They are the equivalence of prime ministers nowadays. The residence, as well as the office of the shoguns, was known as “shogunate” or bakufu in Japanese. Under the shogunate system, the power of the shoguns was quite static and always shifting. There were lots of competition. The most popular among the shoguns was Sakanoue no Tamuramaro of the Heian period. His rulings were mostly focused against the Emishi. Emishi were known to be “hairy people” form the Chinese records. They were thought to be an ethnic group or a tribe. It was the task of Sakanoue no Tamuramaro to defeat these people. During the late Heian period, the general who took over the place was Minamoto no Yoshinaka. His rulings were mainly focused on the Taira. During that time, Taira no Koremori was the commander of the Genpei war. Taira no Koremori was not as brave as his father. He was into poetry and music. This is probably the reason why he was defeated by Minamoto no Yoshinaka. Directly after Minamoto no Yoshinaka’s rule, he was followed by Minamoto no Yoshitsune’s command. Yoshitsune became popular for his expedition against the Ise-Heishi. He focused more on attaining peace and order in the land. However, upon returning home from the great war against the Ise-Heishi, he was said to be killed by his own allies. Some says, he faked his own death just to be with his lover. On the other hand, he is still considered to be one of the most popular samurais of all time.